Interested in having CCTV installed? CCTV acts as a great deterrent to potential thieves. Once they realise that you have CCTV protecting your home or business they invariably go somewhere else and prosecution rates for businesses and home owners are higher using CCTV. With Remote monitoring / viewing you can keep an eye on your home or business using your smart phone via an installed app. 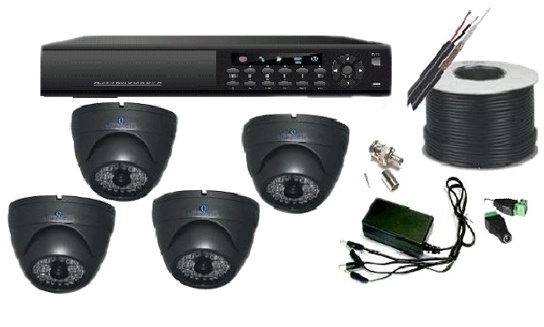 CCTV can help reduce the fear of crime, knowing that you have that extra level of security. Our packages start from £650 for a 2-4 camera installation. Please call 0800 007 5325 for more information or a free site survey for all CCTV installations.